Welcome to our 2016 Conference in partnership with the Royal Shakespeare Company in this anniversary year. I hope you will enjoy the location, the company, the ideas and the special RSC production of The Rover on Wednesday evening. Please thank Denise and the team at HMC for the success of all the arrangements over the coming days and blame me for any errors or omissions. As the ‘Events of the year’ film shows, HMC is growing in confidence whilst never forgetting the need to listen and learn from its Members. We represent our highest ever number of schools – 336 in the UK, Republic of Ireland and internationally – all of which are centres of learning whose results are consistently outstanding and whose excellence is recognised by parents and policymakers alike. Our conference theme carries with it a happy synergy of significance and convenience. At a time when a national debate is raging about the place of creative subjects in the national curriculum, there has never been a more important moment to explore how we in this room are both leading creative schools and leading in a creative way. At the same time, this golden thread knits us closely together with our location here in Stratford upon Avon to mark Shakespeare’s 400th anniversary. So what is a creative education and why is it so important? To answer that we need to ask ourselves to identify the most powerfully transformative experiences young people have at school. As a physicist you might expect me to say STEM subjects given their ability to open all sorts of doors. All subjects have the potential to enable the learner to think, feel and see the world differently. If they are not doing so, they are probably not being taught properly. But on a personal level, creative experiences can transform the very essence of the individual. I've see it many times. It is a most wonderful thing. We are all likely to have known moments when a young person has had a flash of personal enlightenment. Typically, but not exclusively, this on a stage, at a concert, in front of an easel or at a gallery. At the level of the school, some quantify the advantage of participation in creative subjects in terms of its apparently positive effect on overall learning. Others point to the increasing value of the creative industries to the UK economy – a staggering £10 million an hour according to this year’s government figures. We are lucky enough to have both participants and observers of the creative arts with us over the next three days, who will, I think, enlighten us further. To take one example, Greg Doran, Creative Director of The Royal Shakespeare Company is hard to resist on why the Bard can change the way children learn and teachers teach. HMC schools are outstandingly successful in offering inventive opportunities to our pupils. It's one of the reasons why so many leading creatives come out of our classrooms: they have been able to hone their character and skills throughout their school life. I am proud that the arts are woven through the educational experience we offer and that so many of us share that with children from schools in less privileged positions. The arts festivals founded by HMC schools in Portsmouth and Oxford are fine examples. None of this would be possible without clear headed and inspiring leadership from the Heads gathered here. We all recognise that the pressures are huge, and growing. It’s not for nothing that headship in independent schools is compared to football management – but without some of the more dubious perks. We deliver outstanding results, brilliant individual care, exhilarating sport and arts programmes, funding for free bursary places and major outreach projects. We achieve all this by putting the needs of each pupil first and understanding the importance of both creativity and knowledge in a rounded education. The constancy of this child-centred approach is something which successive governments admire and seek to emulate in the schools they fund. I am pleased therefore to be able to bring you an encouraging message from Education Minister Nick Gibb. Later he will speak about an exciting new joint initiative; in this clip he outlines his views on our conference theme. In words: ”It’s a pleasure to speak at…. There is little doubt that deep subject knowledge is highly prized in HMC schools, and we seek it in our teaching staff. As independent schools we are fortunate to have the freedom and flexibility to hold all the interconnected parts of a holistic education in balance; indeed we will be treated to various views on curriculum and examinations over the coming days, including from Professor Robert Coe. We will hear more from the Minister later and I thank him for his thoughtful words. Which leads me to the current Government’s request to help increase the number of good and outstanding places in the state sector, and to give more state school pupils access to the education we deliver. Put simply, in her recent “Great Meritocracy” speech and in the consultation paper “Schools That Work for Everyone”, the Prime Minister is knocking at an open door. Those who lead independent schools devote their lives to developing young people and share the vision of a better education and the widest possible opportunities for all pupils. Some might view Theresa May’s challenge as an attack on the independent sector. It is not. UK independent schools are part of the solution rather than the problem. Each HMC school is different and can provide a different answer. Our varied nature and ability to adapt is part of our strength and critical for the success of the Prime Minister’s plan. So let’s set aside prejudice and dogma, and look clearly at the principles of our engagement. The Prime Minister values variety. So do we. HMC schools are a key part of the diverse mix of independent, free schools, academies, grammars and secondary schools which creates parental choice, innovation and freedom for Heads to lead in a way appropriate to their context. It also allows for flexible collaboration, through the many Independent State School Partnerships, or through groups such as United Learning, of which Ashford School is part. One such opportunity for further partnership work is represented here at the Conference and I hope you will take some time to go and speak with Charlie Rigby at the Challenger Trust stand. Second, the Prime Minister wants more children to have access to good education through increased bursary places in independent schools. So do we. In the drive to create more good school places, HMC schools already spend £1.2m a day in helping pay fees, targeting a range of need from those who can’t quite afford the full sum through to refugees from Syria and Afghanistan. The Independent Schools Council estimates that partnerships with independent schools already involve 10,000 state schools and reach 160,000 state school pupils. And there is an appetite to do more. Just two weeks ago, I launched a new charitable foundation to fund “needs-blind” places at my own school. Lastly, the Prime Minister wants to see expansion in the number school places in good state schools. So do we. That’s why every single HMC school is already involved in a partnership with a state school, upping standards by offering specialist teaching, out of hours mentoring and masterclasses, help with university admissions and careers guidance, support with sports and the creative arts, and shared facilities. This is already significant, long lasting and large scale; all actions which show we are very much in touch with the needs of pupils. Those detractors who consider such work marginal should speak to the individuals transformed by these experiences such as the hundreds of children involved in the York Partnership or those in Bolton. Collectively, some HMC schools have the capacity and capability to go even further and help run state schools. In fact many who can already do. 39 HMC schools sponsor or co-sponsor around 137 state-funded schools around the UK. 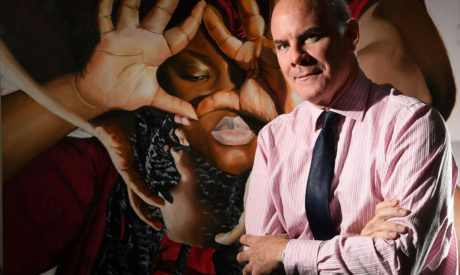 The London Academy of Excellence, sponsored by 6 independent schools, is an example of a consortium that is changing lives in one of the most deprived parts of the country. That there is a second LAE to be opened in Tottenham by another consortium of independent schools is testament to the extraordinary commitment of Heads working tirelessly for the greater good, alongside running their own high quality schools. There is solid experience here. I would ask the Prime Minister to listen carefully to our advice on what will be deliverable and effective in pushing up standards in the long term. While our schools are happy to punch above their weight, independent education is a small sector, educating around 7% of British schoolchildren up to age 16 and containing many very small and specialist schools. Quite frankly, we cannot not solve the structural problems in education that taxpayers entrust to the government – to the tune of £86 billion each year - nor should we be expected to. Our core purpose is to provide our pupils – whatever their background – with an outstanding, liberal education, enriched by a wide variety of co-curricular activities and expert pastoral care. This quality is the bedrock upon which we – alongside our colleagues at universities – have built a global reputation for British education. The seed from which our success grows is that very independence. Each school represented here is governed by its own trustees. We set our own standards and follow our own educational philosophies. This allows both consistency and innovation to flourish largely free from the incursions of successive governments. We never forget that our parents are paying twice and have a state-funded alternative. We focus completely on what is best for the individual child and the quality of their experience. Almost all HMC schools in the UK are charities, meaning we plough back any surplus to improve the education we offer and to fund means-tested bursaries. Much is made of the apparently enormous charitable tax relief which our schools receive, with the PM now invoking its removal as a sanction. Whilst on the surface this is understandable, it is misguided. We are accountable for our objectives to the Charity Commission in the same way as all other charities. And in terms of money in, money out, the Exchequer wins hands down. According to a detailed Oxford Economics report, the tax relief for most independent schools – £150 million a year – is dwarfed by the £3.6 billion per annum we generate in tax revenue and, even more, by the £9.5 billion total value we add to the UK economy. Whilst I understand the frustrations of parents who cannot afford what we currently offer, and those of a Government looking for new allies, it important to understand we give a great deal already because of the way we steward resources generated very largely from fee income alone. It is precisely these resources which allow us to engage meaningfully with others. There are HMC schools, for example, at which ten per cent of students in a typical sixth form year qualify for free school meals, recruited through established outreach programmes. If the Government decides that sponsoring an academy or opening a free school is the current preference, it would put at risk programmes such as this in favour of much higher-risk projects which would take years to develop. There are reasons why schools choose certain charitable activities over others – they know what will work in their context and be sustainable. We would urge the Government to use the current consultation to embrace the best long-term recipes for success and avoid the unforeseen consequences that can arise from a failure to appreciate what works in practice. As David Halpern from the Government’s own Nudge Unit will tell us, encouragement and positivity is the way to change behaviour. So what do our schools need to do to ensure we continue to contribute our fair share, both financially and educationally? First and foremost, our schools need to continue to be successful examples of excellence. If we take our eye of that ball, we will stop delivering in our own schools, let alone in any others. From a secure base we can look to the future. We pledge to play to our strengths and offer what does work. Our impact lies in challenging the most able, supporting the individual needs of our pupils, developing their individual character and remaining at the forefront of learning and teaching, school leadership and governance. With willing partners (a key ingredient) we can find more ways of having a positive impact on education across the country. We will continue to open our doors to children from less well-off families. HMC schools alone already spend over half a million pounds a day on means-tested help with fees and we plan to spend even more. I notice that Exeter School, for example, has just made available a number of new free places. We will offer access to our teachers, coaches, facilities and specialist events to enrich the school experience of many thousands of children from less advantaged families and help offer them greater opportunity. And we hope that an increasing number of children, living in less affluent parts of the country, with the ambition and the willingness to learn, will attend new schools, opened in no small part through the tremendous dedication of some of the Heads here today. We look forward to identifying specific projects and partners to expand our contribution where this is needed and welcome. So, the leading independent schools of this country have much to offer. We recognise our role in enriching state-funded education and stand willing to continue working in a productive, practical and proportionate way. It is in our DNA to do so and part of the founding principles of our many of our schools. However, independent and state schools cannot make our relationships work with a gun pointing at our heads. We hope the Prime Minister understands that – after all she had the good sense to outlaw forced marriages as Home Secretary. She must know, then, that all good partnerships are based on mutual appetite, understanding, respect and cooperation. They work best when the parties have a good deal in common. Sustainable partnerships also require some down to earth, practical things to be in place – such as proximity. The ability to drop by, share experiences and talk through problems is a great asset, as the most successful multi academy trusts know. Thus, in the messy, complex real world, forcing independent and state schools together is fraught with practical difficulties and ultimately, is unlikely to work. A very particular skillset, capacity and experience is needed to drive up standards in a local all-ability state school, especially in a deprived area. Helping to drive from behind, as a governor, can be a key independent school contribution. We know that our colleagues in state schools often do a fantastic job with fewer resources, larger classes, greater curriculum constraints and significantly different challenges, and we do not presume to patronise them by suggesting we can necessarily run their schools better than they can. But with open hearted collaboration and a flexible approach, great things can happen, and I am hopeful the PM’s evidence-based and practical outlook will prevail. We know a rural boarding school excelling in sport will require a different partnership approach to that of a highly selective city day school. The Prime Minister is right to say that proportion matters and that “not every school is an Eton or a Harrow” even as national newspaper editors treat them as if they were the only notable schools on the planet. Nor do they typify most HMC schools, especially in more economically challenging parts of the country. As Kevin Fear from Nottingham High School would point out, and as I know myself, parents in many HMC schools are as likely to be taxi drivers as hedge fund managers. Schools such as Kevin’s are already more socially diverse than many selective state schools in affluent suburbs, and already make a great contribution to social mobility – as the former Chancellor Ken Clarke, himself once a Nottingham High assisted place pupil, can attest. So, as we can see, there is more than one way to solve the life chance lottery. The further expansion of subsidised school places is bound to be the right choice for a good many HMC schools and coercion is unnecessary. Why is the education we offer in such continuing demand? Not, as many would have it, simply because we have more resource. True, we spend more per head on educating our pupils, mainly on excellent teaching and smaller classes. But our real added value comes from what happens in the classroom, on stage, on the playing field – and in the playground. Results in external examinations in independent HMC schools are far and away the best in the country overall; creative subjects are valued and thriving; sport manages to be both elite and inclusive. And we continually innovate, with new methods of teaching and learning, new thinking about the path from school to university and new ways of improving pastoral care. That’s why more and more parents are choosing our schools; at the last count over 223,000 pupils attend 282 HMC schools UK and Ireland, and more will have joined since then. That’s a quarter more pupils than ten years ago. So, whilst those who object to independent education in principle are constantly hunting for evidence of “crisis”, “peril” or “mass exodus”, the opposite is true. Whilst all of us here applaud high standards in any type of school, it’s important that any educational debate is properly informed. So, to remind ourselves, here is a short start-of-term myth-busting test. Question one. Independent schools outperform state schools in exams, on average – true or false? True. Not the other way round, as has been reported. In HMC schools, 51% of our pupils achieved A*/A at A level this year – twice the national figure. The number of A*/A grades awarded to HMC pupils at GCSE was 66% – three times higher than the national average. HMC schools are the silent engine room of educational excellence. Question two. Independent school pupils are likely to outperform others at university – true or false? True. 82% of graduates with firsts or upper-seconds come from independent schools compared with 73% from state schools – not the reverse, as was first reported by the Higher Education Funding Council for England last year. Question three. Independent schools are worth paying for. True or false? True. A highly significant piece of independent research by Durham University published in the Spring quantified the added value our schools bring to pupils of all aptitudes. It shows independent schools give pupils the equivalent to two years’ worth of additional education by the time they reach their GCSEs. Put another way, that’s two thirds of an extra grade in each of their GCSEs. Crucially, these results were found after our pupils’ prior attainment, socio-economic profiles and gender balance had been taken into account. These outcomes sit alongside the small classes, subject-expert staff, broad curriculum and life-changing co-curricular activities that they also experience. Our schools offer high value. Question four. Independent schools are out of touch, their pupils wear top hats and their parents are all Russian oligarchs. True or false? False. Over one fifth of families with children at independent schools earn less than £50,000 a year, and the majority have both parents earning. Only 5% of our pupils have homes overseas – a proportion that has been stable for years. The average day fee at ISC schools is £13,000 a year and third of pupils receive fee assistance. HMC schools work hard to promote diversity. At KES Birmingham, an extraordinary fundraising campaign has paid for 100 boys from less affluent families to attend the school for free, with another 100 paying substantially reduced fees. At Manchester Grammar, pupils gaining a place from families earning less than £27,000 will pay nothing. Away from the classroom, HMC is putting considerable effort into research, awareness-raising, campaigning and lobbying activities to improve the experience of all pupils – at school and afterwards in higher education. We are having real impact on children’s lives both by putting students on the path to success and by influencing a national education system which sometimes trips them up on the way. For more than a decade, HMC has had huge concerns over the accuracy and fairness of exam marking and grading. 2016 has been a further year when, with the NAHT, we have held the regulator Ofqual to account publicly whilst working with its staff constructively on a range of technical improvements to examining such as getting the new 9-1 grades at GCSE accurate between subjects and monitoring improvements to the marking of language A-levels. Overall, we welcome the measures taken to make GCSEs and A-levels more rigorous, and improve the precision of top grades. However, the exam system in England remains under significant pressure and this is affecting the life chances of students in all schools. The decision by the exam regulator to deal with the 90,000 successful challenges to GSCE and A level grades in 2015 by making it more difficult to appeal is not only frustrating for schools, but heart-breaking for hard working pupils whose futures are so tightly tied to their exam results. Fairness and justice for every individual candidate should be a top priority. This is even more important this year when the first pupils will complete new A level and GCSE courses in which nearly everything rides on the final set of tests. Confidence in exam marking continues to fall amongst head teachers, and we continue work hard for genuine solutions such as double-blind re-marking on appeal. Marking of Modern Foreign Languages remains a particular headache. Progress has been made by Ofqual in ensuring pupils are more fairly awarded the top grades. However, our Members continue to report unexpected results which they find themselves simply unable to trust, both at GCSE and A-level. HMC’s membership may be relatively small, but we also continue to devote much time and expertise to sustaining variety in the curriculum. Our students, for example, make a particularly strong contribution to keeping alive those subjects at university that the government designates as Strategically Important and Vulnerable. These include various modern foreign languages, Modern Middle Eastern studies; Economics and General Engineering. I am grateful for the hard work of the Academic Policy Sub Committee, whose leadership under Peter Hamilton has been a considerable force for good in protecting the interests of students in all types of school and college around the country. This it will be focusing on helping find solutions to some of the seemingly intractable problems facing the exam system – difficult and valuable work. Schools should be places of joy. We know young people generally learn better when they are happy. HMC and its member schools are taking a leading role in developing knowledge of wellbeing amongst today’s schoolchildren and turning that understanding into highly effective pastoral care. This year’s Spring Conference, as many of you will know, was a unique event in the history of HMC, focusing on what works in Good Mental Health in Schools. It also served as a launchpad for new types of partnerships with ASCL, The Sunday Times and YoungMinds, which I hope will both inform us and help to disseminate best practice across all types of schools in the years ahead. From Mental Health First Aid at Bradfield to early warning tools at Monkton Combe and the BrainCanDo project at Queen Anne’s, Caversham, the practical programmes working in these and other HMC schools have inspired many of you to consider new ways of working. This is HMC at its best, informing its members, forming new alliances and openly sharing what we know for the good of all pupils. Teenage wellbeing is a difficult area to tackle. It has taken courage on the part of Chris King and the Wellbeing Working Group, and judgement and skill by Sue Bishop, who led the conference delivery and generated positive media coverage. Under the new leadership of Bernard Trafford, the working group has just met with Natasha Devon to gather intelligence and discuss its new priorities for the coming academic year. We have much to draw on; only last week RGS Newcastle hosted a major cross-sector mental health conference and the school regularly puts on workshops for state school colleagues working in deprived areas of the city. I will certainly be giving this issue my full support throughout my year as Chair, and I urge you to go to some of the workshops this week which will further enlarge our understanding. This combination of external influencing and partnership working, underpinned by practical school-based delivery, has grown to be a powerful combination. In addition to the pupil-focused programmes I’ve mentioned, I am delighted to be able to announce the start of the new HMC Pastoral Leadership Qualification starting next month. This will provide training for key pastoral leaders, and encourage more to take up those roles. It will help us establish best practice and define sector-wide standards through a recognised qualification which will be portable between our schools. This is a unique and innovative programme which further demonstrates the commitment of HMC Members to the wellbeing of their pupils and their position in the forefront of pastoral care. We know that the culture of a school and the co-curricular activities it offers are as important to ensuring happy, healthy children as any specific interventions. Sport, for example, teaches our pupils how to focus, how to deal with disappointment and how to persist through teamwork and personal resilience. Sport is woven into the fabric of many of our schools and serves as an example of much that is good in them. It is no surprise that HMC schools were vastly over represented amongst the Olympic squad at Rio – especially in what Adam Pettit coined “the sitting down sports”! Our schools typically offer twice as many hours of sport compared with most state schools, and we manage to keep many boys and girls wanting to compete throughout their school life. We will shortly be commissioning some research into the impact of sport on young people and look forward to its findings. As well as a wonderful array of activities in our own schools, our community partnerships reach many thousands of pupils. Tonbridge has well-established links with local junior schools, offering many children their first opportunity to compete in athletics events. The Young Norfolk Sports Academy (YNSA), led by Norwich School, nurtures talented young sportspeople from all backgrounds with expert support, education and coaching. My own school provides facilities, expert coaches and transport to enable over 400 primary school children each week to learn to swim. Such examples will be true of most of us. Promoting opportunity for young people is naturally a complex task and does not stop once children leave school. Universities have also been called upon to open more state schools, and some have expressed reservations about this being appropriate. There is much, however, that can be done together to ensure any bright student can go to university and to smooth their experience. Many HMC schools already offer pupils from less advantaged schools help with university applications. The Ogden Science Partnership, for example, offers a long-running residential at Keble College, Oxford to raise aspirations. Harrow offers up to 40 place for state school pupils at a free 5-day summer school, alongside an autumn programme of UCAS and Oxbridge support. Following a lead provided by Chris Ramsey, the HMC Universities Sub Committee, run jointly with the Girls Schools Association, will be busy this year with its innovative plans to create a better bridge between Upper Sixth teaching and that received by students in their first year of university. Their work will also look at ways to help young people remain happy and confident as they leave school and home for a new and unfamiliar life. Alongside this new work university leaders have already suggested an engagement with those planning the new Teaching Excellence Framework for higher education; it seems clear our membership could offer insights into pedagogy pre-18 and how this relates to the experience of teaching, post-18. Meanwhile, the urgent need to improve teacher supply is a glaring gap in the Prime Minister’s consultation for improving education. The traditional supply of newly qualified teachers from universities is declining and there is much talk of a crisis in state schools. Over the past couple of years HMC has played its part to help plug this gap by creating HMC Teacher Training, whose first trainees have just finished their initial year on-the-job. As many of you have discovered, this is an excellent way of training teachers in school, whilst ensuring they have full external professional development as a foundation for their career in either independent or state schools. This year, the scheme offers greater flexibility and support at lower cost, so I would ask you all to consider HMCTT seriously when recruiting. This, I’m sure you will agree, this is another great example of HMC using its expertise to identify the key problems facing education and deliver practical new solutions, especially since most HMCTT participants would not otherwise have actively considered a career in teaching. Improving the quality of existing teachers and retaining them is another key national issue; again, HMC has been quietly developing new ideas in that arena. As well as creating a new pastoral leadership programme, the well-established academic leadership qualification (ISQAM) has been a great success; over 400 middle leaders have now taken part throughout the UK since the pilot in 2013. Feedback has been very positive, with many reporting they feel much informed and confident about the continuing task of improving outcomes for our pupils. Against this backdrop of professionalism and partnership, I am delighted to announce a completely new initiative between state and independent schools and the Government. This ground-breaking collaboration aims to help arrest further decline in modern foreign languages by training a new generation of expert teachers. For over two decades, educationalists and the Government have been concerned about the steady reduction in numbers of students choosing to study languages. This is not only culturally impoverishing, but likely to put UK pupils at a major disadvantage in a global marketplace in which 75% of people do not speak English. The reasons for this decline are complex but include the difficulty of achieving a top grade compared with other subjects, leading to less take up, smaller departments and fewer teachers. I have already outlined how HMC is helping to solve aspects of the problem as this relates to exams. As the Minister says, this is a truly exciting project which serves to show the many different ways in which Government, state schools and the independent sector can use their individual strengths to build a better education system for everyone. I thank him for his encouraging words. It is clear from what has been outlined today that our schools are in fine shape. And this government understands the value of good schools, of any hue. HMC schools are centres of excellence in learning, engines of social mobility and institutions that can make a difference in their communities – if we are supported rather than attacked. The Prime Minister seems interested in promoting meritocracy rather than envy. She realises that the UK needs its great independent schools, especially when they use that very independence to offer serious alternatives and generate an educational laboratory where many of the best new ideas can be tested and shared at hardly any cost to the state. So, let us reframe the debate, away from a sterile argument about what divides us and towards a fruitful one based on common purpose. Away from narrow conversations about school type towards wide-ranging deliberation about improving still further education for all of the nation’s children. The leading independent schools of this country are part of a solution which requires us all to think creatively and work together. So let me welcome you again to the 2016 HMC Annual Conference, at which I hope you will find further inspiration, challenge and most importantly, fellowship. “Conversation should be pleasant without scurrility, witty without affectation, free without indecency, learned without conceitedness, novel without falsehood”. If we keep that in mind I’m sure we will leave the richer for it. Please enjoy! Thank you. Click here to download the speech in full.